WARNING: Consuming Russian Tea may lead to intense feelings of coziness and an uncontrollable desire to curl up with a good book. As I get older, I find myself remembering more and more about the women in my mother’s circle who influenced my life. Remember Mrs. Houston? I’ve written about her a couple of times. She was my mother’s super-talented, perpetually cranky friend who taught me to embroider and made my family Nuts-n-Bolts for Christmas every year. 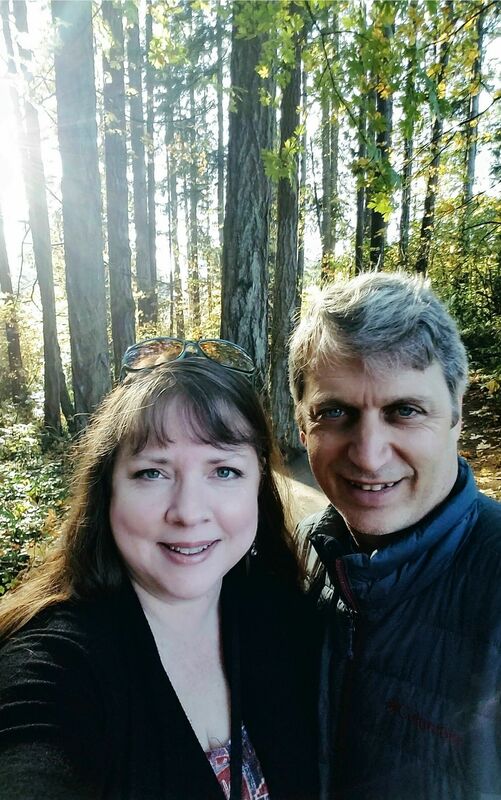 Mrs Houston also introduced me to Russian Tea – a warm, incredibly cozy concoction that has ties to both the 1960’s penchant for convenience foods and NASA’s space program. Tang, the primary ingredient in Russian Tea, was known in my childhood as the drink “the astronauts took to the moon.” It first made its appearance in the late 1950’s, but didn’t sell well until it got a super-powered boost from NASA in the early 60’s when it was included in the food-stores of John Glenn’s Mercury spaceflight, and later on the Gemini missions. My mom was suspicious of, and therefore rarely bought, anything unfamiliar to her Midwest Depression Era upbringing (i.e., yogurt, pizza, Swiss cheese, etc. ); however, if it was good enough for John Glenn, it was good enough for her. Hence, as a child I luxuriated with a glass of ice-cold Tang on a regular basis. That’s enough Tang history for now though: back to Russian Tea. I have no idea why it’s called Russian Tea. I can conjecture that perhaps it has something to do the US-Russian Space Race and the Tang connection, but I really have no solid evidence to support that theory. (If you know, please tell me!) 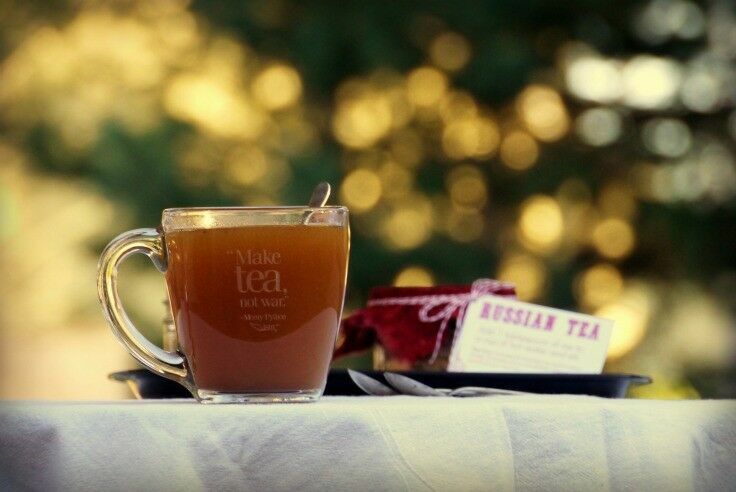 But whatever its origins, Russian Tea is just about the coziest non-alcoholic beverage I know of. It tastes a lot like mulled cider, with a decidedly citrus kick. 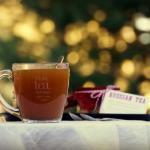 Russian Tea is extremely easy to whip together, and makes a lovely housewarming, hostess, or holiday gift. (I’ve included a free printable below just for this purpose.) Now all you need is a good book, a toasty fire, and maybe a warm snuggle-buddy. Add one heaping tablespoon of mix (or to taste) to a cup of hot water and stir. 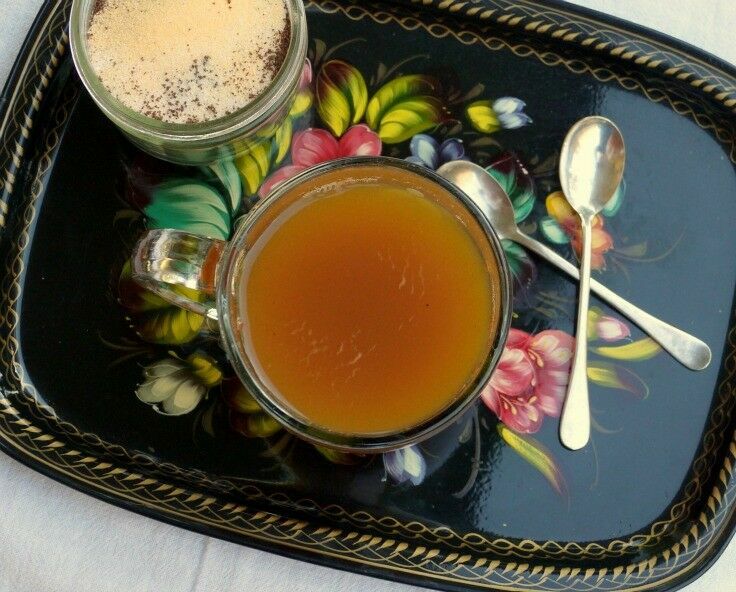 If black tea is something you choose to avoid, you can make Mock Russian Tea by simply leaving out the instant tea. It still tastes warm and cozy. 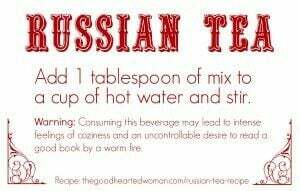 Don’t think I’ve ever heard of Russian Tea or had any of the primary ingredients! Very creative! I do like hot drinks in the winter! I’ve never heard of this warming concoction but it sounds super wonderful for a chilly evening warm me up, I’ll give it a try! Thanks for sharing the recipe and accompanying memories you have of it! This is bringing back so many wonderful childhood memories! There is a 5- and 8- year age gap between myself and my sisters, so I was always an annoyance/fun project for them. My sister Steph would always throw tea parties for my friends and I using Russian Tea. If only she was still interested in providing wait staff for my parties! I love it! 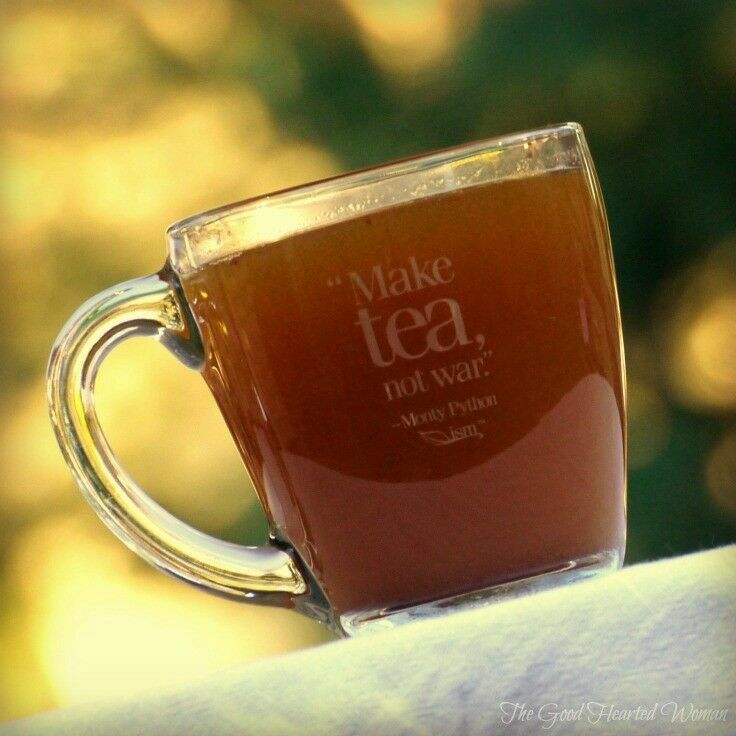 It definitely sounds like perfect little treat for rainy days. Wha?! The guy who made Tang also made Cool Whip and Pop Rocks?! Can you imagine what his kitchen must have been like?! 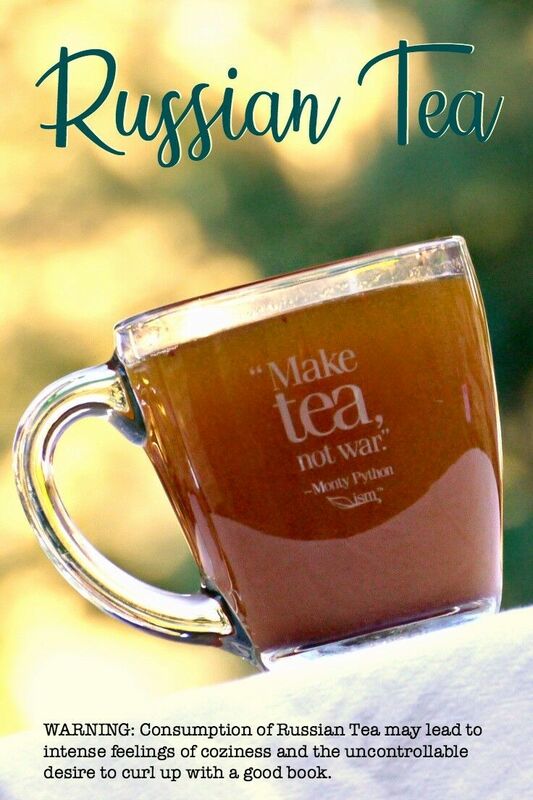 I had never heard of Russian Tea before. This seems pretty fun! I know! I was surprised too, Erin! He also invented quick-set Jello and powdered egg whites.